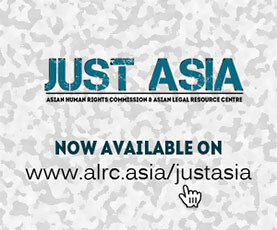 The Asian Human Rights Commission (AHRC) has received updated information regarding the on-going judicial harassment of student activist Jatupat Boonphattaraksa in Thailand. According to Thai Lawyers for Human Rights (TLHR), on 22 December 2016, at 9 a.m., the Provincial Court of Khon Kaen, in the northeastern region of Thailand, will conduct a hearing regarding a police request to revoke Jatupat’s bail bond on charges of lese majeste, for sharing a BBC Thai news article. A student at Khon Kaen University and a key member of the pro-democracy movement Dao Din, Jatupat was arrested and charged on 3 December 2016. He was released on bail on 4 December 2016 without any conditions. The police of Muang Khon Kaen Police Station pleaded to the Provincial Court of Khon Kaen that after Mr. Jatupat Boonphattharaksa, as the alleged offender, had been granted bail by the Provincial Court of Khon Kaen on 4 December 2016, he had posted a social media message mocking the police by claiming that his bail bond was set at 400,000 baht (approx.11,428USD) because ‘the economy is so bad, and they want bail money’. In addition, Mr. Jatupat had committed several offences against national security. The police also claimed that since Mr. Jatupat has been posting comments on social media, it could be tampering with evidence; if the Court waits until 23 January 2017 to conduct the first hearing, more damage could be done. 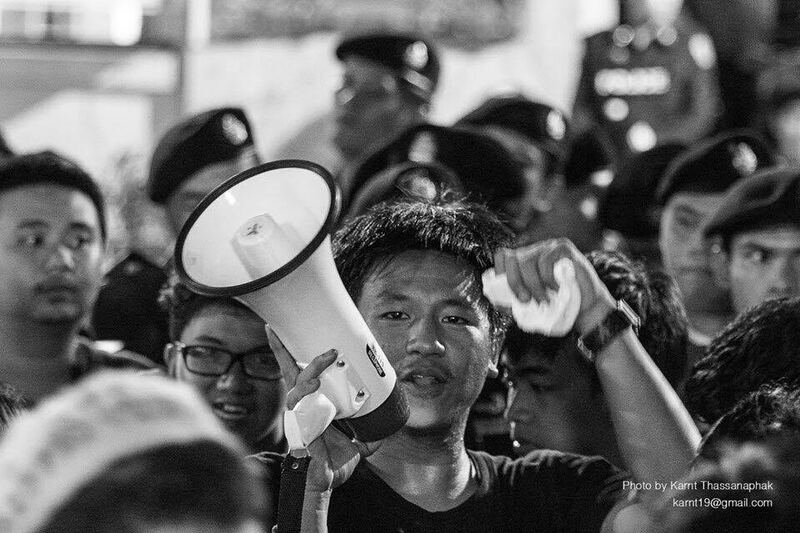 The comment which the police claimed as a reason to have the bail revoked was posted on Mr. Jatupat’s Facebook at 12:21 a.m. on 14 December 2016, after the Provincial Court of Phra Khanong refused to let academics use their official positions as a bail bond for three pro-democracy activists, Mr. Piyarat Chongthep, Mr. Songtham Kaewpanphruek and Mr. Jirawat Aekakkaranuwat, who were indicted for tearing a ballot card during the Constitutional Referendum. The amount of 600,000 baht had to be raised from public who sympathized with them. If the Court decides to revoke Mr.Jatupat’s bail bond, he will be subjected to pre-trial detention in Khon Kaen prison. Please write letters to the authorities below, asking them to to drop all illegal actions and prosecutions of Mr. Jatupat Boonpattaraksa, since his alleged acts were nothing more than the exercise of freedom of expression and were consistent with the Thai Constitution. Please note that the Asian Human Rights Commission is writing a separate letter to the UN Special Rapporteur on the promotion and protection of the right to freedom of opinion and expression, seeking his urgent intervention into this matter. I am deeply disturbed to learn of the judicial harassment of student activist Mr. Jatupat Boonpattaraksa in Thailand. A legal complaint has been filed against Mr. Jatupat, a student at Khon Kaen University and a key member of the pro-democracy movement Dao Din. It is alleged that he violated the lese majeste offence under Article 112 of the Thai Criminal Code and the Computer Crime Act. Mr. Jatupat was arrested on December 3 after he allegedly shared a BBC Thai news article “Profile: Thailand’s new King Vajiralongkorn,” as well as quoted some content of the news on Facebook. He was released on bail on 4 December 2016 without any conditions. However, subsequently, the police of Muang Khon Kaen Police Station pleaded to the Provincial Court of Khon Kaen that Mr. Jatupat’s bail should be revoked, as the alleged offender was posting messages on social media that could be considered tampering with evidence. In particular, the police were objecting to Jatupat’s Facebook message mocking the police by claiming that his bail bond was set at 400,000 baht (approx.11,428USD) because ‘the economy is so bad, and they want bail money’.